In that year, the new company entered the consumer sector by manufacturing and marketing an electric fan, which became a hit product. Over the next decade the company succeeded in landing major contracts, including one for the development of an electric railway substation. 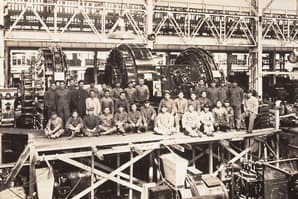 In the 1930s Mitsubishi Electric started manufacturing, installing and maintaining elevators and escalators as well as producing electric power generation equipment. 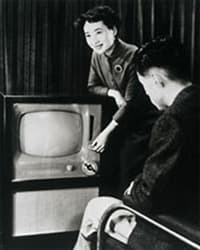 The company continued to grow and branch out at a brisk pace, and by 1960 had emerged as one of the most innovative diversified electrical equipment manufacturers in Japan. In the early 1960s the company also turned its attention to environmentally conscious manufacturing techniques —many years before environmental concern became a serious issue. 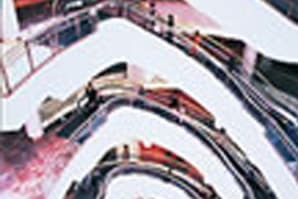 Over the next two decades the company began extending its reach overseas while establishing itself as a pioneer in the development of computers, advanced air conditioning systems, automobile electronics, satellites powered by photovoltaic technology, and nuclear power generation. 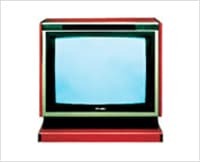 From 1980 to the present day, the pace at which Mitsubishi Electric has introduced and refined breakthrough technologies and products for the benefit of society, industry and individuals has been nothing less than astonishing. 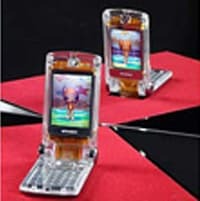 These technologies include the world's first large-scale LED screen for sports arenas, the world's largest CRT television screen for the consumer market, the world's first spiral escalator, the world's fastest elevators, the antenna technology behind the world's first commercial in-flight Internet service, and much more. with an output of 9000 hp. Delivered the first Diamond Vision mammoth outdoor color video-display system, to Dodger Stadium in Los Angeles. "DIAMOND VISION SOLUTIONS" adopted as collective brand name for Mitsubishi Electric Group's visual solutions business. Diamond Vision screen installed at the Dallas Cowboys Stadium is recognized by Guinness World Records as the world's largest high-definition display. The recognized screen measures 22m high by 48m wide. 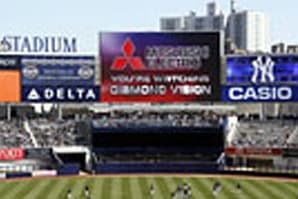 Delivered Major League Baseball's first full 1080 x 1920 high-definition LED, 16mm pixel pitch Diamond Vision Screen to Yankee Stadium in New York. Received an order to install four Diamond Vision displays and three LEDerAd ribbon board displays in the new stadium being built for the NFL Dallas Cowboys (scheduled to open in June 2009). Delivered Japan's largest security system, which monitors document access using IC tags, to the Bank of Tokyo-Mitsubishi UFJ. 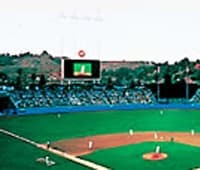 The Mitsubishi Diamond Vision screen at the Turner Field baseball stadium in the U.S.A. is recognized as the world's largest outdoor HDTV video screen. 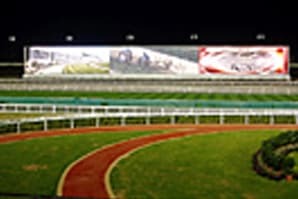 Developed the world's widest "Diamond Vision" display for operation at the Sha Tin Racecourse in Hong Kong. Established a new company in Turkey for room air conditioner development and manufacture, named Mitsubishi Electric Turkey Klima Sistemleri Üretim Anonim Şirketi (Mitsubishi Electric Air Conditioning Systems Manufacturing Turkey). Slated to begin production in January 2018. Founded Dynamic Map Planning Co., Ltd. Received the Prize of the Chairman of HATSUMEI KYOKAI (JIII) in the FY2017 National Invention Awards for the design of the VP-X high-efficiency turbine generator. Announced a corporate donation of 50 million yen (approximately US$440,000) and a separate donation worth a cumulative amount of approximately 63 million yen (approximately US$560,000) through an in-house matching gift program – the Mitsubishi Electric SOCIO-ROOTS Fund – for restoration of damage from the 2016 Kumamoto Earthquake. Received an order from Transport for New South Wales (TfNSW) to supply 512 passenger cars' worth of railway systems to the New Intercity Fleet in Australia. Selected among the Good Design Best 100 in the FY2017 Good Design Award for the "Kirigamine FL series" room air-conditioners and the Segment-Handling Robot for Next-Generation Thirty Meter Telescope (TMT®). Named by the international NGO CDP as a Water 2016 A List company, the highest rank of the index, for its recent water management initiatives to help preserve the natural environment. 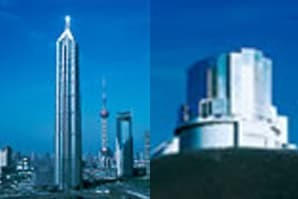 Delivered the world's fastest elevator*, the world's tallest elevator*, and the world's fastest double-deck elevator* to Shanghai Tower, the tallest building in China (632m high). Established an MEU (Mitsubishi Electric Europe) South Africa Branch Office in Johannesburg, South Africa. Operations commenced on June 1. Received an order to install Diamond Vision screens at QVC Marine Field in Chiba, Japan for use beginning in March 2016 (total of 5 screens: 1 main screen, 2 left and right field sub-screens, and 2 infield sub-screens). Acquired shares of the Italian industrial air-conditioner company DeLclima S.p.A (acquisition of the company as a subsidiary). Opened the Mitsubishi Electric Event Space "METoA Ginza." Developed the EMIRAI3 xDAS concept car featuring driving-assistance technology and the EMIRAI3 xAUTO concept car featuring preventive safety technology (autonomous driving technology). Succeeded in launching Turkey's communications satellite Turksat-4B. Developed the world's first voice-activated drawing function that displays spoken words where a finger is traced on the screen. Mitsubishi Electric is appointed as an official partner of the Tokyo 2020 Olympic and Paralympic Games. Received an order worth approx. 1.7 billion yen from Siemens AG in Germany for the delivery of 328 railcar air-conditioner units for use in the new railcars of the Rhein-Ruhr Express train (82-car train sets totaling 164 cars). 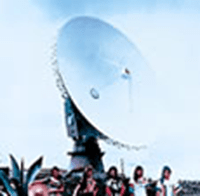 Completed the development of and launched the Advanced Land Observing Satellite-2 (ALOS-2, or commonly called Daichi-2), a project which Mitsubishi Electric undertook as the main contractor for JAXA (Japan Aerospace Exploration Agency). Completed the manufacture of and launched geostationary meteorological satellite Himawari-8, contracted by the Japan Meteorological Agency. Received an order to deliver communications satellite Es'hail 2 to Es'hailSat, a state-run satellite communications company in Qatar. Received an order from Saga Heavy Ion Medical Accelerator in Tosu (Saga Himat) to deliver the Pencil Beam Scanning system, which can more accurately and efficiently irradiate affected areas with heavy particle beams. Received an order from railway operator Deutsche Bahn AG to deliver a railcar electrical device (propulsion control device) for Intercity-Express 2 (ICE-2) high-speed trains, as the first Japanese manufacturer to do so, for a total price of approximately 3 billion yen. Installed a 4K full ultra-high-definition video display measuring over 100m in total width to the exterior wall of Marriott Marquis Hotel in Times Square, New York, as the world's largest display for a commercial facility. Developed an advanced manufacturing technology for boron-carbide diaphragms used in hi-fi loudspeakers, which realizes the world's fastest sound propagation speed by combining the use of new manufacturing technology and acoustic analysis technology. Installed a total of three Diamond Vision displays to Sapporo Dome, including two large units offering the highest resolutions among all 12 stadiums in Japanese professional baseball (4,000 (w) × 1,080 (h)) and one infield scoreboard (1,640 (w) × 480 (h)). Delivered a total of 51 elevators and escalators to Shanghai New World Daimaru Department Store—a large commercial facility located in Shanghai, China—including 12 spiral escalators, the largest order for a single project. elivered land terminal equipment for the project to upgrade the SEA-ME-WE4 cable system to 100Gbps and enhance the 20,000km fiber-optic cable system that connects Southeast Asia, the Middle East, and Western Europe. Successfully launched communications satellite "Turksat-4A," the contract for which was awarded by Turkey's national satellite operator, Turksat. Subsequently, the delivery of the satellite was completed in orbit. Received orders from Tsuyama Jifukai Group’s Tsuyama Chuo Hospital and from the Hakuhokai Group to provide our new proton beam therapy system for cancer treatment. These will be the first particle therapy systems for cancer to be installed in the Chugoku-Shikoku region and Osaka Prefecture. Developed the world's first Super Hi-Vision (8K) HEVC encoding device in collaboration with Japan Broadcasting Corporation (NHK). Installed two high-definition Diamond Vision displays in Reliant Stadium in Texas, home of the Houston Texans American football team, which garnered attention as the largest such displays in any sports facility in North America. Received orders to deliver a total of 38 elevators and escalators to the "tallest-to-be" commercial complex under construction in Bangkok, Thailand (314m; 77 floors above ground, 1 floor below ground) including 7 elevators that will travel at a speed of 480m/min and are expected to be the fastest elevators in Thailand. Released the lightweight and compact "Fujin" cyclone vacuum cleaner, which delivers sustained suction (more than 99%) and clean air exhaust (final collection rate 99.999%), as a commemorative model for the 80th anniversary of Mitsubishi Electric's development of vacuum cleaners. Completed expansion of the satellite production facility at the company's Kamakura Works in Kamakura, Japan. The upgraded facility doubles Mitsubishi Electric's annual satellite production capacity to eight satellites, the largest among all facilities operated by Japanese satellite manufacturers. Delivered world's first SiC auxiliary power supply systems for railcars. Installed 34 elevators and 18 escalators in the Ginza Kabukiza (Chuo ward, Tokyo). Delivered the world's first helicopter satellite communication system (HSA40) to Japan's Fire and Disaster Management Agency (FDMA). Delivered multi-screen SNB (super narrow bezel) displays, Diamond Vision, and other digital signage displays for use in the Tokyo Station Marunouchi Building of East Japan Railway Company. Integrated the lighting business under Mitsubishi Electric Lighting Co., Ltd., and launched a new brand named "MILIE" to promote LED lighting. Developed a plastic recycling technology that can instantaneously separate plastic waste that has been sorted and recovered from recycled home appliances at a high material purity of over 99%, in a joint effort with Shimadzu Corporation. Developed automatic dismantling equipment to recover rare earth magnets from used room air conditioners, and commenced rare earth magnet recovery operations at Green Cycle Systems Corporation. Mitsubishi Electric Group contributed 500 million yen to support relief efforts in the wake of the Great East Japan Earthquake. 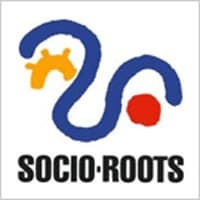 It also matched employees' donations collected through the Mitsubishi Electric SOCIO-ROOTS Fund and contributed a combined total of approximately 290 million yen to aid survivors and orphans from the earthquake disaster. Celebrated Mitsubishi Electric's 90th anniversary. Looking towards its 100th anniversary, the company will aim to become a global, leading environmental company, contributing to society through technology. Received a contract from the TAT-14 CN Purchasing Consortium to upgrade the consortium's submarine optical cable system, TAT-14 Cable Network, to 40Gbps. The upgrade of a transatlantic cable to 40 Gbps is the world's first. Delivered OLED panels that can display images with ten times higher resolution than conventional LED panels, to the 6-meter-diameter Geo-Cosmos Globe displayed at the National Museum of Emerging Science and Innovation as its symbol exhibit. 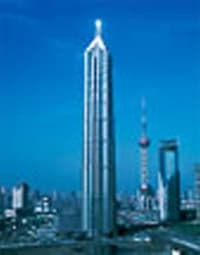 Received an order to deliver 106 elevators, including three that would boast the world's fastest speed of 1,080m/min, to Shanghai Tower, a skyscraper under construction in Shanghai, China (height: 632m; slated for completion in 2014). Commenced full-scale operations of the Smart Grid and Smart Community demonstration facilities in Amagasaki and Wakayama. Mitsubishi Electric's Diamond Vision large-scale display received the 63rd Annual Technology & Engineering Emmy Award from the National Academy of Television Arts & Sciences. Developed the industry's smallest EV motor system with built-in SiC inverter, in which all power chips in the motor's inverter are SiC-based. Received order for carbon ion particle therapy system from SAGA HIMAT Foundation* (Tosu-shi, Saga Prefecture, Japan). Launched "RakuRaku-UD," a set of assistance features on home appliance products that make it easier to use the products' various advanced functions. Received order from Spanish railcar manufacturer Construcciones y Auxiliar de Ferrocarriles, S.A. (CAF) for electric equipment to be used in railcars on Sao Paulo Metropolitan Train Company's Line 8, in Brazil. Began Japan's first large-scale, high-purity plastic recycling, using technology that automatically separates at high purity the three main plastics out of shredded mixed plastic recovered from end-of-life home appliances. These activities were started at Green Cycle Systems Corporation, a Mitsubishi Electric subsidiary. Developed an elevator energy conservation management system that can reduce overall elevator power consumption by up to 10 percent. Sojitz Corporation and Mitsubishi Electric Corporation install the world's largest and longest (107.52m wide x 10.88m high) Diamond Vision screen at Dubai's Meydan Racecourse. Screen area: 1,169.8m².